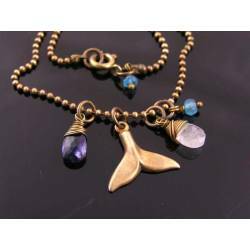 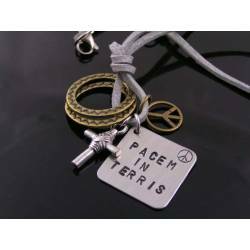 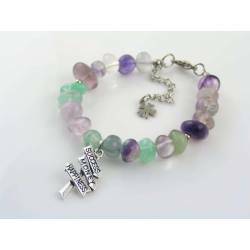 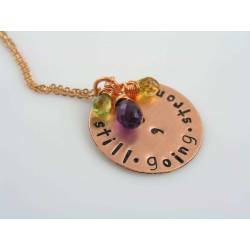 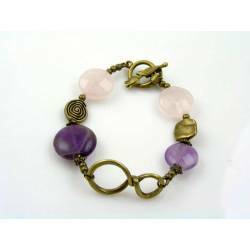 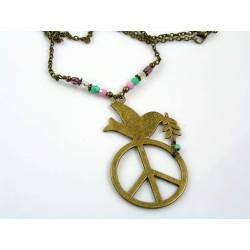 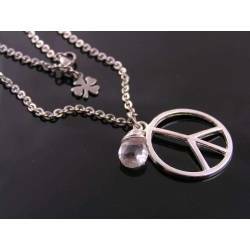 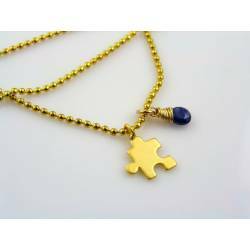 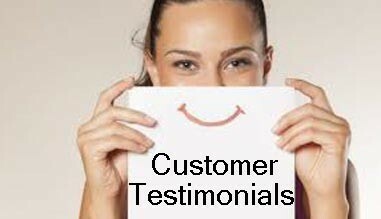 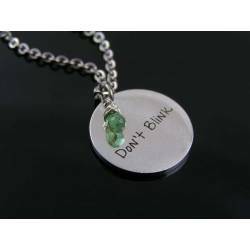 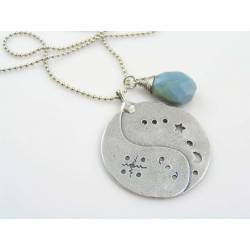 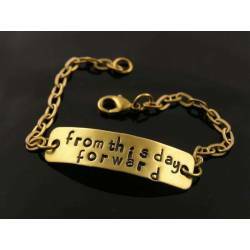 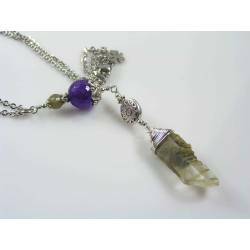 Inspirational necklace with special gemstones. 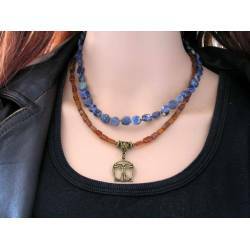 This necklace sports a collection of rather unusual gemstones. 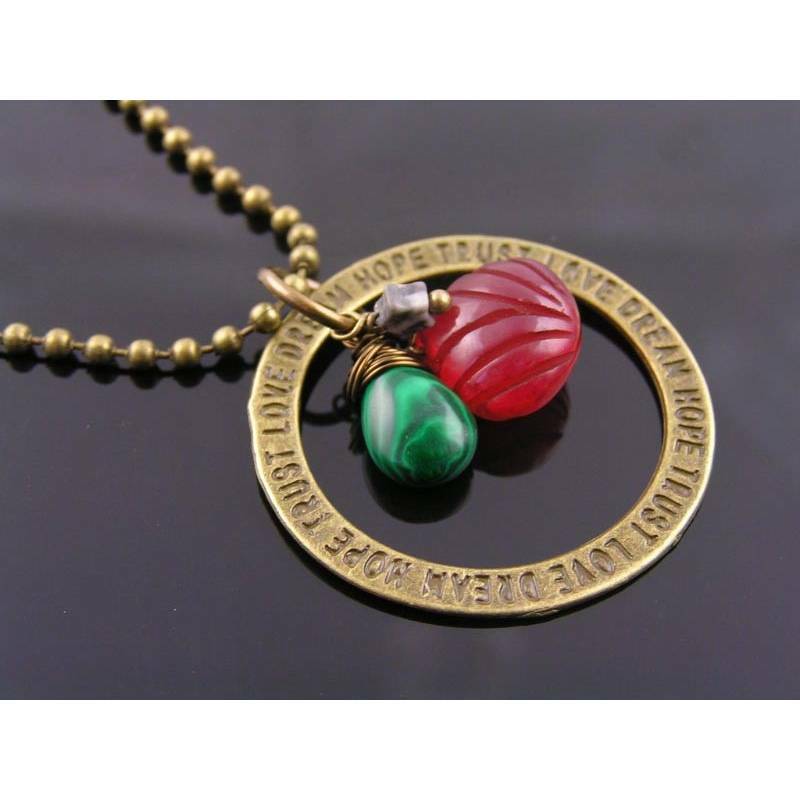 A glowing red, carved Chalcedony shell drop, a smooth genuine Malachite drop and a very cute, tiny Picasso Jasper star. 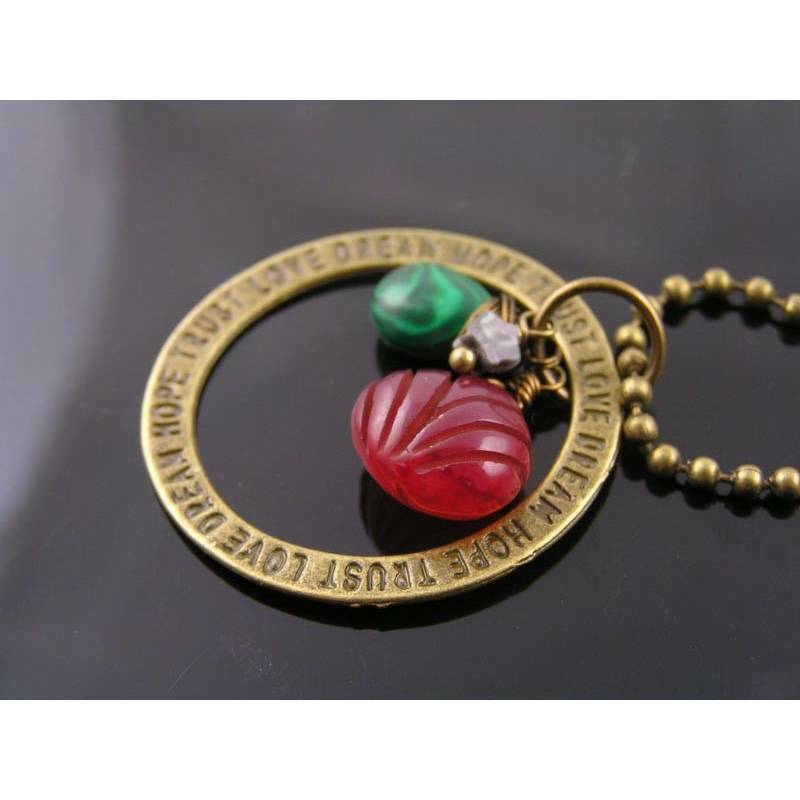 All gemstones are attached to a large ring that is stamped with the inspirational words:"Love Dream Hope Trust". 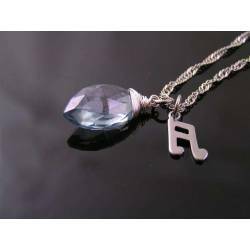 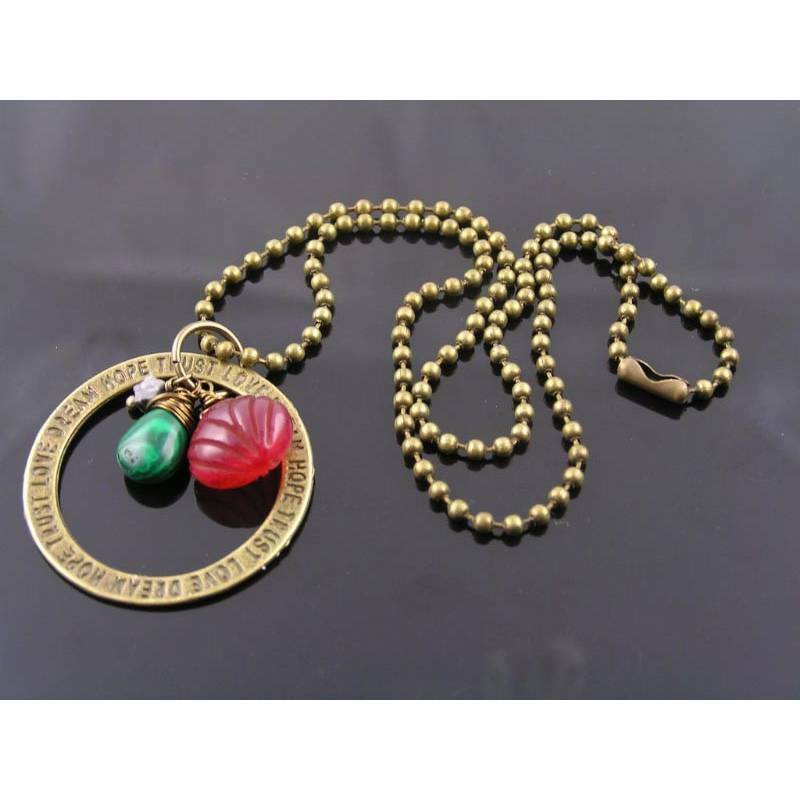 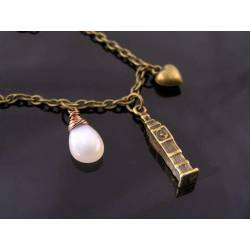 The pendant is dangling from a fashionable ball chain. 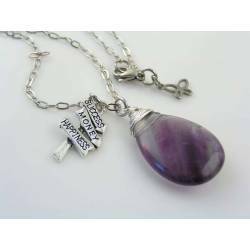 - The carved Chalcedony measures approx. 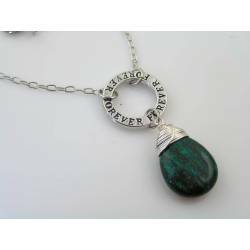 11mm in height, the Malachite drop is 8mm long and the little Jasper star is 4mm in size. 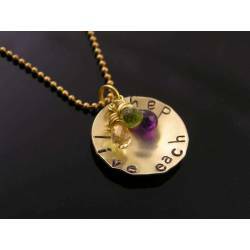 - Diameter of the ring charm is 3cm. 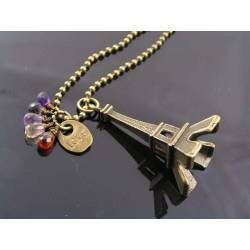 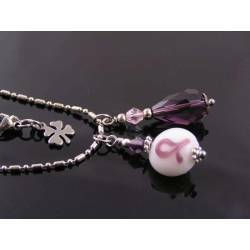 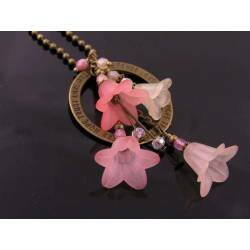 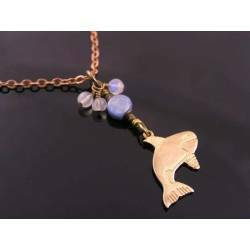 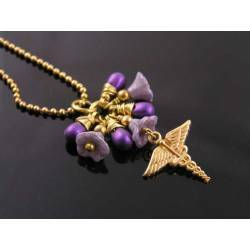 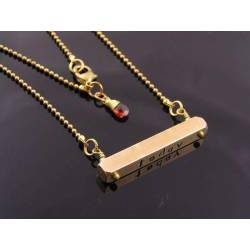 - The necklace is 40cm long.